Members – Reserve Your Seats! A great treasure trove of history was lost in the mists of time for 70 years, until recently. A volunteer was sorting through boxes of dusty Holocaust manuscripts deep in the archives of YIVO, the Institute for Jewish Research, when she came upon a fragile envelope. 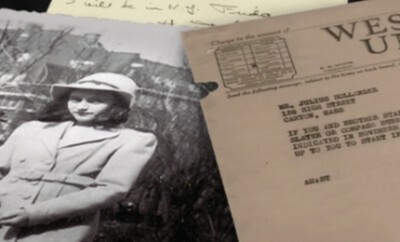 She was stunned to find inside lost documents that detailed the desperate efforts of a loving father to save his family from the clutches of the Nazis. They were the letters of Otto Frank, Anne Frank’s father, and reveal his heartbreaking failure to find a safe haven for his daughters, Anne and Margot, and his wife Edith. 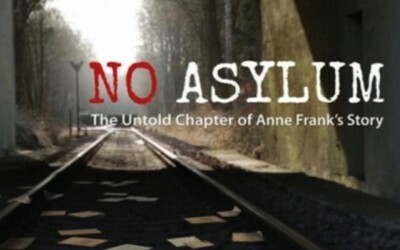 In No Asylum, Anne’s only surviving family members relate the emotional story of her family’s frantic search for sanctuary – Buddy Elias and Eva Schloss. Buddy, Anne’s cousin and best friend, speaks about their childhood and shares unseen family photographs and letters. He reveals Otto’s last letter before going into hiding, and sheds new light on their struggle for immigration. Read more here.